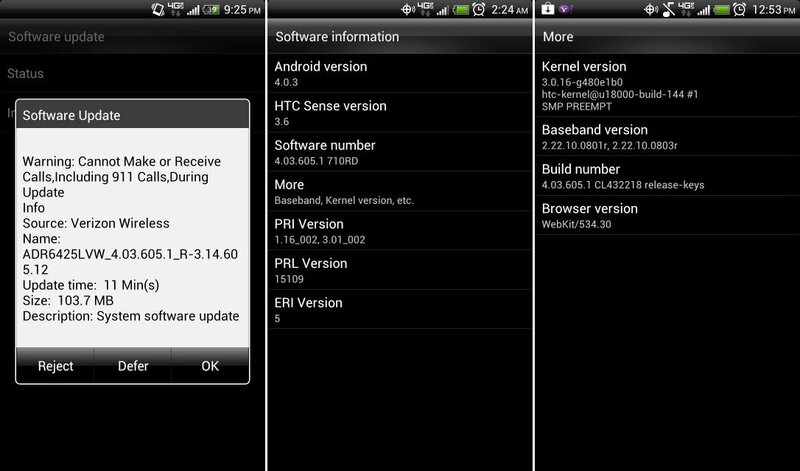 Since Ice Cream Sandwich arrived for the HTC Rezound without global roaming, a feature Verizon told us was coming “this summer,” we were starting to wonder if it would ever arrive. As of last night, Rezound owners at various forums started receiving a notification for an update that appears to include the global roaming feature. The update itself is 103.7MB in size, signaling a substantial update. The version of Android is stil 4.0.3 and Sense version 3.6, but the software build number has jumped all the way up to 4.03.605.1. We haven’t heard from Verizon yet about this update, so until we see info from them, it’s tough to tell when this thing may be rolling out. Some are reporting that it is rolling out now, but our inbox isn’t flooded with successful upgrades like it normally would be if this sucker had gone public. Feel free to jump into Settings>About phone>Software update to check, though. Let us know! If you would like to grab the file right now, hit up the source link below. Cheers Sina and everyone else!